Are you experiencing a debt crisis? Are creditors ringing daily demanding money? Perhaps you can’t afford to make the minimum repayments on your debts because interest rates have rocketed sky high on your accounts. Do you feel there is no possible debt help in Scotland that could sort this out besides sequestration? You need to take decisive action quickly, but getting the right debt help in Scotland isn’t always easy. In fact, you may believe finding debt help in Scotland that takes away the unbearable stress is almost as likely as winning the lottery! But it won’t be if you come and talk to us. Our advisors are specially trained to give money advice and debt help to people in Scotland, and will help guide you out of financial crisis. They believe all debt problems have a solution – it’s just a matter of finding the right one to fit your current circumstances. However it has happened, your hard-earned cash is now spread so thin you cannot manage your debt effectively any more. Yet you have more options for debt help in Scotland than you think. A Scottish Trust Deed is one of the prefable choices for getting out of debt in Scotland. The timescales for a Trust Deed are only 48 months, meaning you can be free from the pressures of debt in 4 years as apposed to 5 years. The minimum criteria is £5,000 of unsecured debts. This can be; unsecured loans, credit cards, council tax, utility bills and benefit over-payments. These go one important step further than a debt management plan as they are formal legally-binding agreements arranged by Insolvency Practitioners (IP) where you pay your creditors only what you can every month for a set period of time, usually 48 months or 4 years. After that, any remaining debts are written off. All charges and interest on your debts are generally frozen and your creditors can be legally prevented from contacting you. You simply forward your payments to your IP and they take care of the rest. Make no mistake about this seriousness of this type of debt solution – it is often the last alternative to sequestration, but it is an effective debt-busting option. You will be debt-free much more quickly and you will no longer have the hassle of dealing with creditors. However those creditors totaling 75% of your debt must agree to it or you cannot go forward. Also as it is a legal agreement you must not miss payments or your creditors may use the opportunity to attempt to sequester you. Very similar to a Scottish Trust Deed and its English conterpart, an IVA is form of insolvency and is a formal agreement between you and your creditors to repay what you can afford towards your debts. The only main different between and IVA and Trust Deed is the repayment period, which is 60 months (5 years) as apposed to 48 months. After the period has expired any remaining debt left over is written off. You have to owe over £5,000 to qualify. Quick and simple to setup, a Debt Management Plan can reduce hassle from your creditors and get you one lower affordable monthly repayment. It is good as a temporary measure to relief the stress of paying your debts, i.e. if you lost your job or your income was reduced. You appoint a representative to talk to all of your creditors and try and negotiate a way forward based on what you can afford to pay them every month. They may help you negotiate full and final settlements, get interest and charges frozen, and distribute your payment to creditors every month. The advantages of this option are you don’t have to deal with the creditors alone and you stand a chance of one day paying back your debt instead of watching it spiral. The bad news is it could take many, many years to pay your debt back. For example, if you owe £25,000 and pay off £250 a month, it could take you a minimum of 8 years to pay off your debt. Will your creditors be that patient? If not, it won’t stop very persistent creditors from still writing and calling you because it is not a legally binding agreement. Debt Relief Orders were introduced in April 2009 to help a smaller circle of people who cannot afford to repay their debts. DRO’s are aimed at people who are really struggling with their finances. To qualify you must owe a maximum of £15,000, have no assets worth more than £300 and have a disposable income of no greater than £50. Full and final settlements are a way of settling your debts with your creditors in full. Depending on your circumstances you can save up to 80% on your debts, meaning you can repay as little as 20% as what you owe. You must have the funds available to do this in the form of savings or in equity. When looking for money advice it can be hard to know who to talk to, with so many debt companies out there, its difficult to know which one will give you the best money advice. The Scottishtrustdeed.co.uk website is run by Simple Financial Solutions Limited who work in conjunction with Trust Deed Scotland, who are a community interest company based in Glasgow. We are set down to strict guidelines by the Financial Conduct Authority so you know you will be receiving the best advice possible. 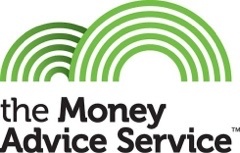 For free money advice or just to have a chat to some about your debts give us a call free on 0800 193 1024 or contact us here.